A while back, I blogged about teaching genre and convention in an introductory literature course geared towards the non-major. As I mentioned, I like using the post-apocalyptic narrative to teach genre and convention because students are familiar with this kind of story. Their knowledge allows us to examine just one or two “case-study” texts so I can avoid devoting a large portion of the course to post-apocalyptic narratives. 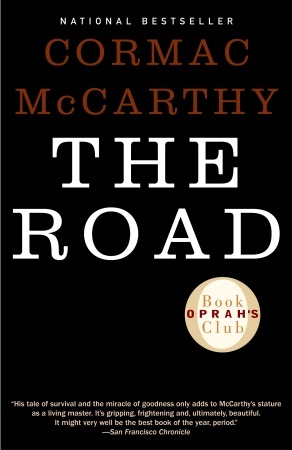 Cormac McCarthy’s, The Road, works as an excellent case study of genre and convention—post-apocalyptic or otherwise. One, the novel enables students to easily perform and understand the larger purpose of generic analysis. Two, while the novel is dark, students tend to enjoy reading it. Three, most students are unfamiliar with both the book and its cinematic remake starring Viggo Mortenson and Charlize Theron, so the novel provides new ground to explore. After the jump, I describe three approaches to teaching The Road. Students are familiar with the post-apocalyptic narrative, but it’s a good idea to spend some time making the patterns of these stories explicit. To do so, I ask students to examine post-apocalyptic films. First, I ask the class to generate a list of post-apocalyptic films, and I keep track of the list on the board. To help students brainstorm more efficiently, I offer a brief and purposely incomplete description of the plot-line: A devastating event occurs that seriously alters the world. To add a film to the list, the student volunteer must justify his or her choices. As our list grows, therefore, we also expand our initial, working definition of the genre. Thus, at the end of our brainstorming session, we now can say that the “devastating event” could be a weapon, a disease, or a natural disaster. Moreover, the event does not just change the world; it alters it to the extent that social, political, and other institutions no longer matter or can function. But this does not mean that the world is without survivors. In post-apocalyptic stories, such people often embark on a quest to search for other survivors, and they often begin their journey based on rumors of a new, stronger community that has emerged somewhere else. To enable students to flesh out these generic conventions on their own, I often devote an entire class period (around 50 minutes) to the above conversation. With a full, complex definition of the post-apocalyptic narrative, students can then apply it to The Road: What conventions does McCarthy reproduce? Which does he alter, and in what ways? Which does he ignore entirely? McCarthy’s interventions in the genre are striking. As students note, for instance, he provides scant details about the “devastating event,” and it is not until a third of the way through the novel that he mentions a world-altering event occurring at all! Identifying how The Road fits within the post-apocalyptic genre is just a starting point, however. I like to encourage students to think about the larger significance of the genre’s patterns as well as the novel’s break from them. Why are post-apocalyptic stories told in such a predictable fashion? What are these stories really about? This discussion can be steered in several directions; however, in the past, I’ve prompted students to think about the ways that The Road and similar stories critique prevailing social, cultural, religious, and political beliefs. What if The Road is not about the future—even a possible immediate one? Rather, what if it symbolically depicts the world as we inhabit it now? Considered in this way, The Road can be read, at least at times, as eco-criticism (consider the final passage of the book or the waterfall scenes) or as commenting on factory farming (consider the farmhouse and how “food” is produced in this space). I wanted to share some approaches to teaching McCarthy’s The Road because I’m not sure when I’ll teach this text again. For one, I’m not teaching introductory fiction courses this year. Moreover, when I taught the course this summer, I swapped The Road for a different case-study text. My Walking Dead unit was so successful that I decided to assign Volumes 1 and 2 of the series in my 200-level composition course. This week, students in that class will begin reading The Walking Dead to discuss the issue of “rebuilding communities,” which is a central concern of many post-apocalyptic narratives. If you are teaching The Road or The Walking Dead, please share your approach and the results (if you’re able), below. Introductory thoughts on teaching The Road, blogged by Amy Rubens. I am currently preparing the text for AQA Lit B… enjoyed the ideas. Teaching The Road as part of curriculum. Thanks for your ideas. I’ll let you know how much foray into the novel goes! Thanks for stopping by, K! I will begin teaching The Road as a variation of dystopian literature the end of March ’17. I am looking for suggestions and was brought here with a search. Thanks for the help. Glad the post was helpful. Thanks for linking back.